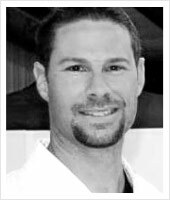 Sensei Daniel Cavaliere is the chief instructor in San Luis Obispo’s United States Academy of Martial Arts and has been training in martial arts since 1986. He is known in San Luis Obispo for his ability to take beginners and guide them to greatness. Sensei Daniel Cavaliere is a talented instructor who makes learning fun as well as challenging. Students will leave each class with a greater understanding of martial arts while at the same time looking forward to coming back for another fun, dynamic class.